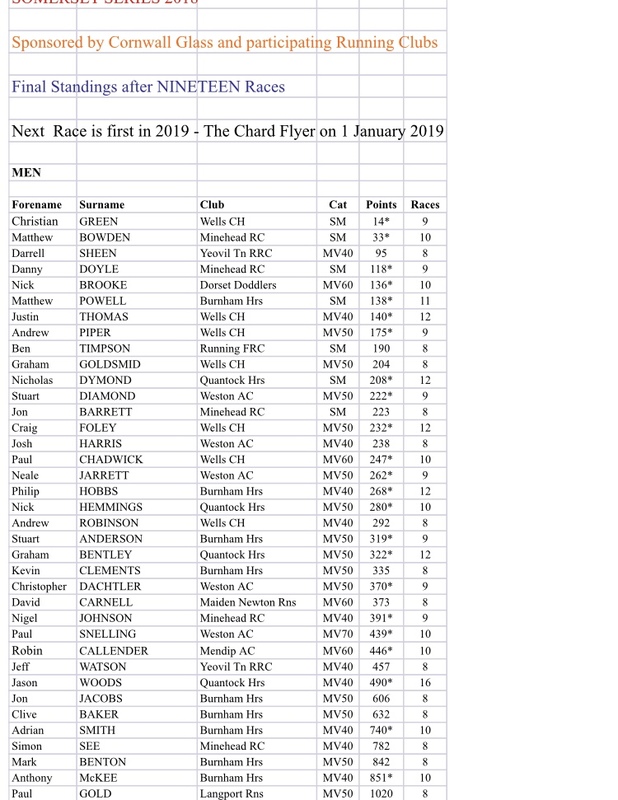 PLEASE NOTE: 2019 STANDINGS WILL BE POSTED AFTER RACE 3 (BABCARY). 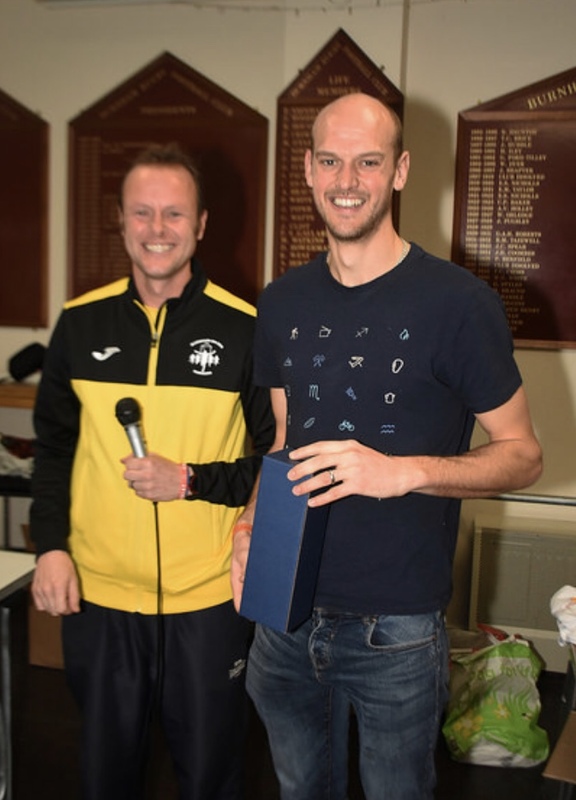 Well done to our Series Champions for 2018, Christian Green and Ali Blaney (both from Wells City Harriers). A massive well done everyone who competed in our races this year, and especially the 58 runners who managed to complete the minimum of 8 races to qualify. Final standings are below, along with photos of this year's champions receiving their trophies. 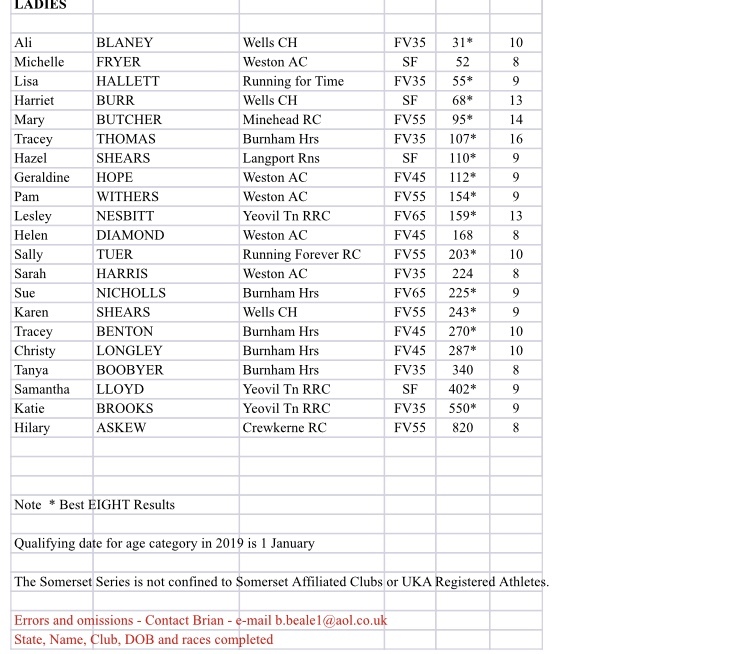 Next year has an expanded race selection to choose from, starting with the Chard Flyer on 1st January. 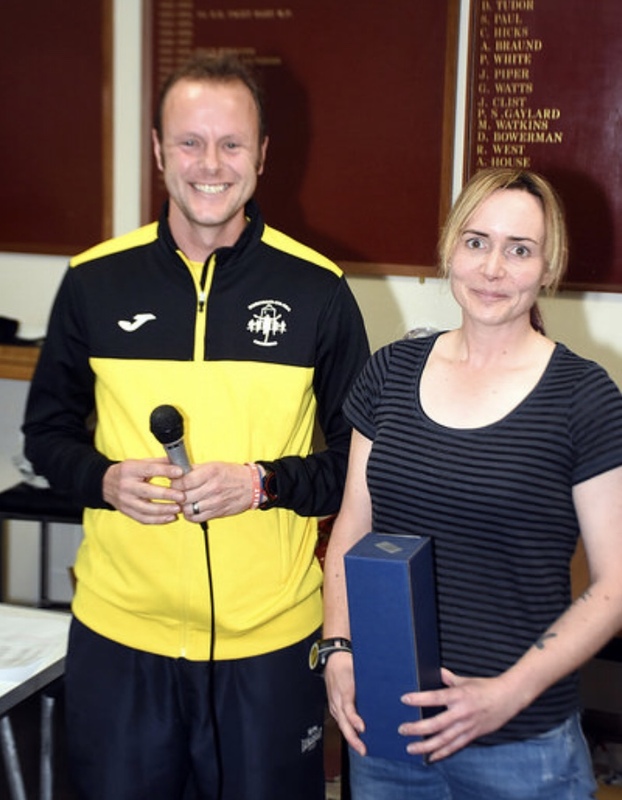 Special mention must also go to Jason Woods (Quantock Harriers) and Tracey Thomas (Burnham Harriers) who completed the most of the 19 races with 16 each.